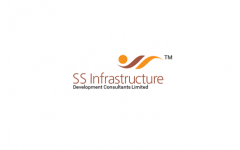 Business description - SS Infrastructure is engaged in the business of Engineering Consultancy and is an Integrated Infrastructure Development solution provider in India. The company provides Architectural Planning, Comprehensive Civil/Structural designs, Project Management Consultancy, Repairs and Rehabilitation, Quality Management Systems through well qualified teams and experienced promoters. The company participates in the tenders floated by the Government authorities, Corporate establishments and other business entities. The pricing of its services is determined on the basis of construction, type of customization, equipment required and estimated duration within which it needs to be completed. The company has executed large projects for organizations like Cyient Limited (formerly known as Infotech Enterprises Limited), Granules India Limited and Government Organizations. SS Infrastructure Development Consultants IPO allotment status is now available on Bigshare Services' website. Click on this link to get allotment status.